This post is part of a partnership with Mountain Rose Herbs. You can learn more about my favorite purveyor of sustainable organic ingredients here. How have I lived my whole life and never heard of pixie mandarins before? I discovered them last week and have been adding them to everything - breakfast, salads, and of course, cocktails. These tiny, seedless citrus fruits are super sweet and and super cute, making them perfect both for cocktail mixing and cocktail garnishing! While most citrus varieties are coming to the end of their prime season, pixie mandarins are late ripening, reaching their best flavor at the beginning of spring. Because pixies have an intensely sweet flavor, I immediately started thinking of savory, sour, and salty complimentary flavors to blend with them. 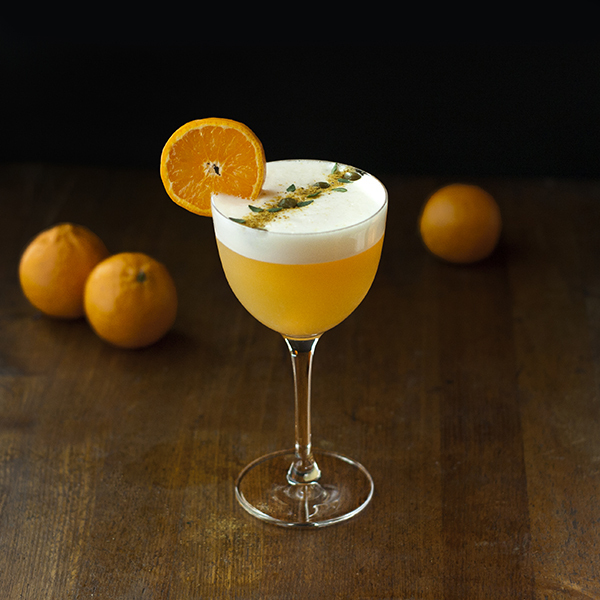 I chose the vinegar from a jar of capers for a striking contrast to the sweetness of mandarins, Galliano for it’s herbal anise flavor, and garnished with fennel pollen to lend an anise and citrus complexity and its incredible, fresh, spring-like aroma. You can purchase fennel pollen from Mountain Rose Herbs. It may sound like an odd blend of ingredients, but the way this cocktail smells and tastes is how these gradually warmer late March days feel to me. Like golden light streaming through my kitchen windows in the late afternoon, like those first green shoots appearing from a slowly thawing earth, these aromas and flavors hint at the awakening of new life and new beginnings. Glassware by Hospitality Glass. Check out their gorgeous collection of glassware here. Add all ingredients to a cocktail shaker and shake hard to build the foam. Add ice and shake until chilled. 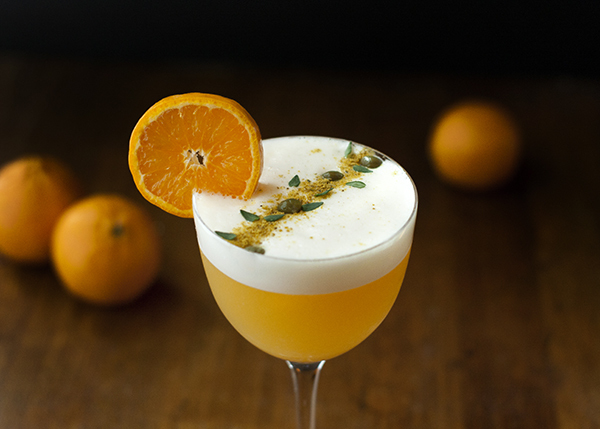 Double strain into a chilled cocktail glass and garnish with pixie mandarin, fennel pollen, capers and thyme leaves.